31st December – Geoff Dodd has the honour of finding the last location of the year. 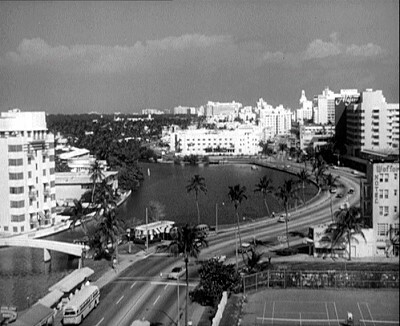 This is a vintage shot of Miami from THE SAINT: The Effete Angler. He also sent in a link to this current photo. 4th November – A magnificent find from Geoff Dodd which has taken him years of searching. 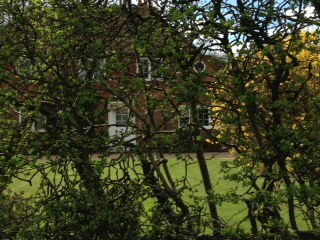 North Middlesex Golf Club on Friern Barnet Lane is the Hospital seen in THE BARON: The High Terrace. 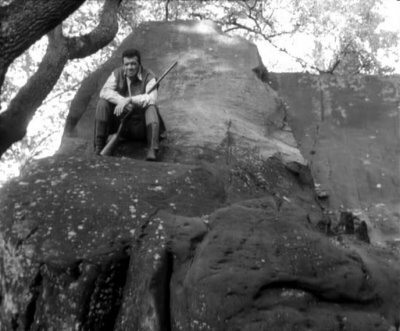 This is a location that has been on the books so long it pre-dates the time I started taking screen-grabs and was using pencil sketches to find locations. 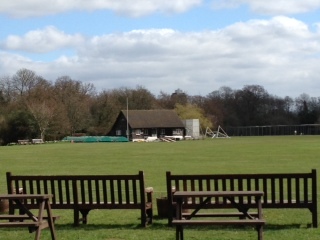 North Middlesex Golf Club, N20 - Mannering is taken to Hospital after his car crash. Johnny and Rhys break into the hospital in an attempt to finish what they started. 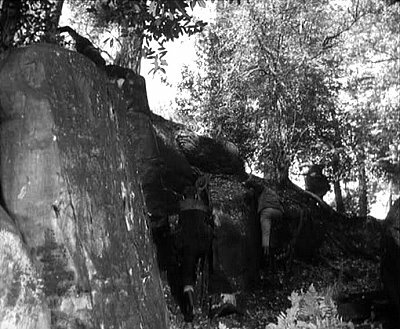 28th October – Another find from Goeff Dodd, Watching the THE HUMAN JUNGLE: Success Machine Goeff recognised this location from THE AVENGERS. As every building in the shot from The Danger Makers has now been demolished this was a geat peiece of work. Thanks once again from Geoff! East Wing, St. Thomas’ Hospital, Lamberth, SE1 - Gordon Lamble, head of the Chemical Warfare Establishment, climbs out of the hospital window, stands on the ledge and looks at the view. 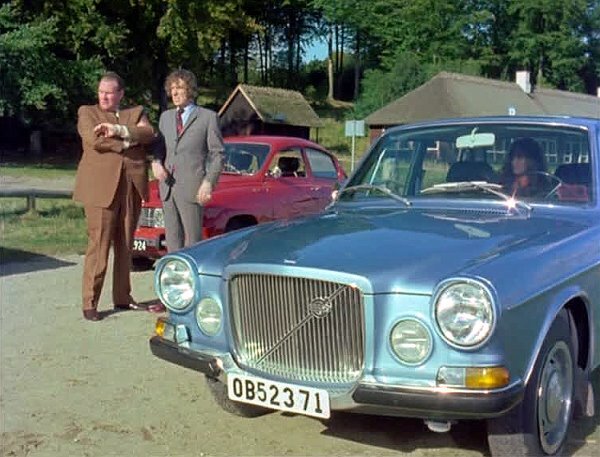 12th December – Many thanks to Paul Stroud for persevering with his Danish research on THE PROTECTORS episodes. 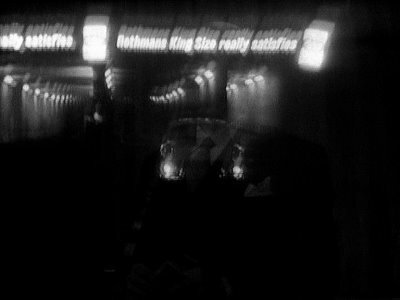 He has come of with a series of excellent finds from a short sequence from Route 27which are geographically miles apart. (15:18) Julebækhuset Restaurant, Nordre Strandvej, Hellebæk - Sandven waits for Harry while the Contessa sits in the car. 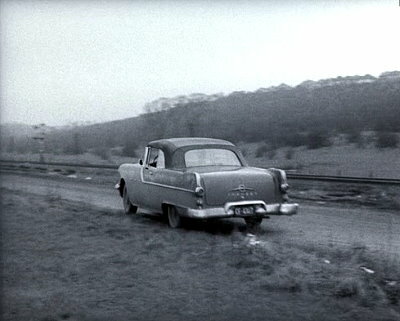 Later, when Harry arrives, they tell him to use their supplied car to lead them to the consignment of drugs. 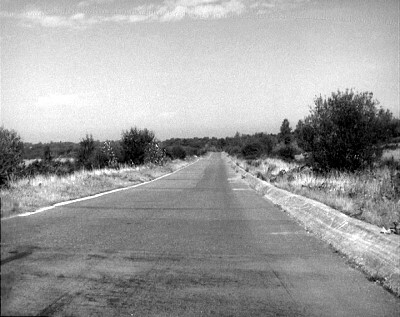 (15:35) Rungsted Strandvej, Rungsted - Harry drives past a layby from which he is followed by Sandven's chauffeur. (15:46) Humlebæk Strandvej, Humlebæk - Harry turns right into Gammel Strandvej followed by Sandven's chauffeur. 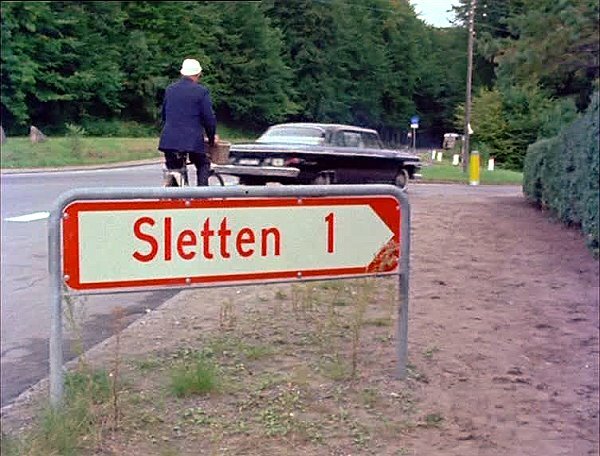 A sign indicates 1km to Sletten. 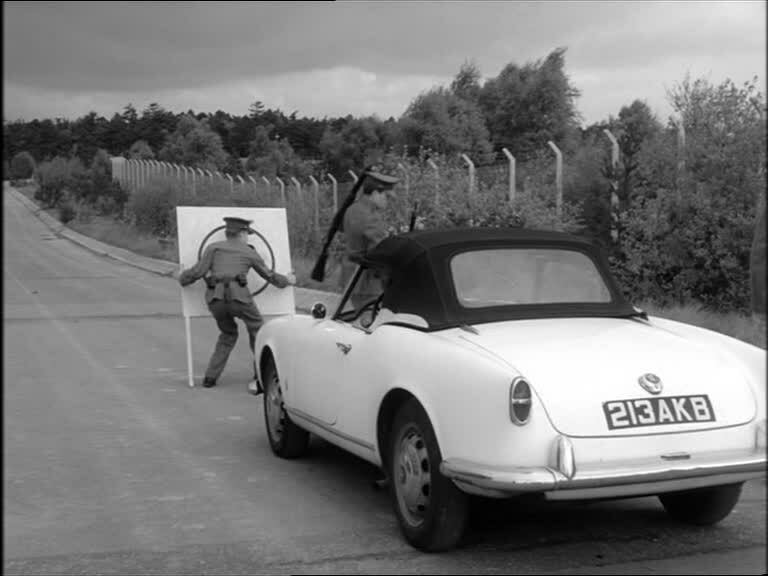 (15:59) Gammel Strandvej, Humlebæk - Sandven's chauffeur forces Harry off the road, then takes his gun and disables his car-telephone. 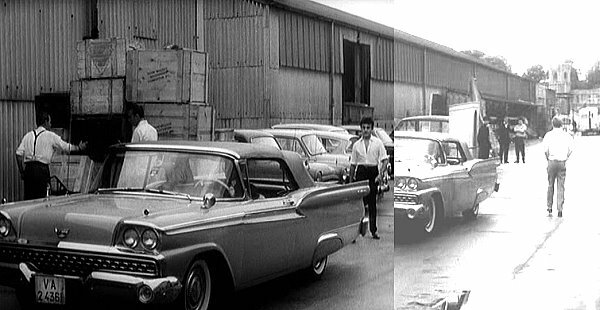 23rd September – A few new photos on the MGM and Shepperton backlot pages. 20 th September - Another find from Pierre Alfonsi who has tracked down the Parisian cemetery seeon in Les Fleurs du Mal. Here is the link to Pierre’s confirmation photograph. 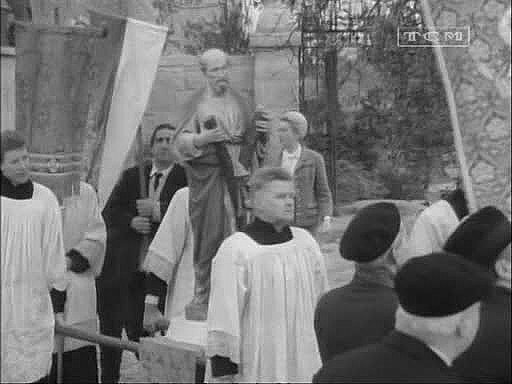 Cimetière de Montmartre, Île-de-France, France: Weber and his men go in search of Johnny’s secret with Stuart Sullivan in tow. 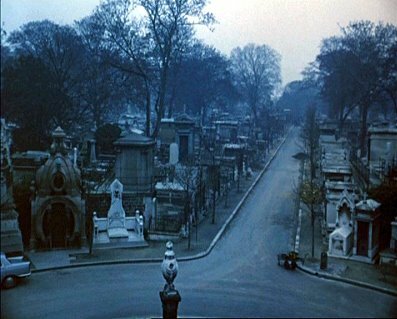 They find themselves close to Père Lachaise Cemetery (Cimetière de Montmartre Seen from Rue Caulaincourt). 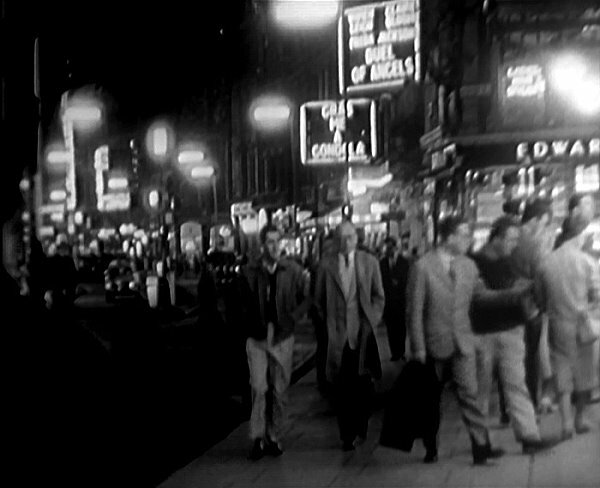 16th September – A couple of useful identified locations from MAN OF THE WORLD from Gordon Thompson. 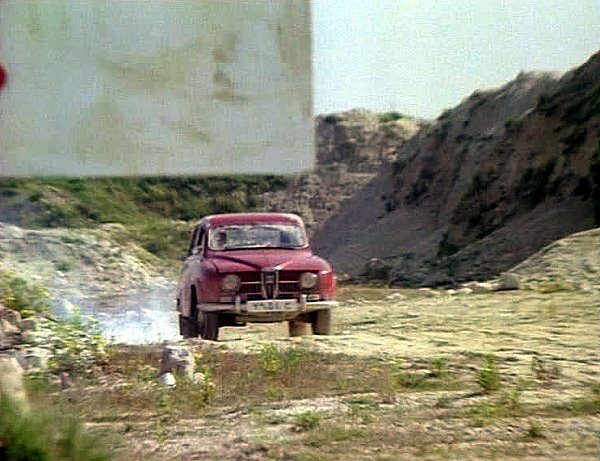 Shepperton Studios, the road by Stages E, F and G.
September 12th – After a year of looking Pierre Alfonsi has at last found the location of this railway footage from THE PERSUADERS! : Five Miles To Midnight. The footage wsas shot near Bahnhof Rum (Rum Station), Innsbruck, Austria. 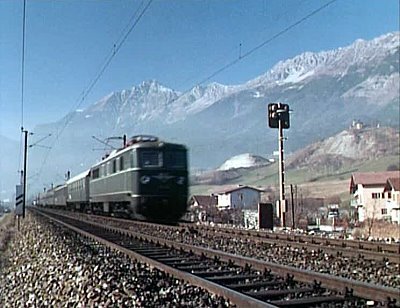 Here is the link to a photo Pierre has found https://ssl.panoramio.com/photo/89195930 although the actual location is 47°16'43.43"N, 11°26'29.38"E.
Bahnhof Rum, Innsbruck, Austria - Judge Futon and Manny Howard travel first class by train and discuss the progress of Frank Rocco and his escorts (47°16'43.43"N, 11°26'29.38"E). 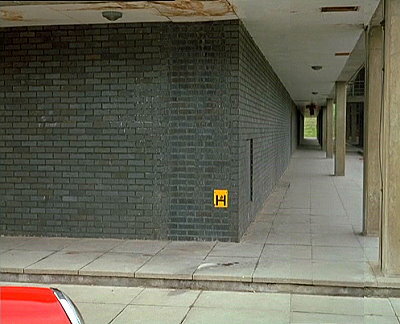 September 10th– At last Geoff Dodd has been able to confirm this location from DANGER MAN: The Man Who Wouldn’t Talk. We had a rough idea where to look, but Geoff has found enough evidence to nail it. Thanks Geoff. 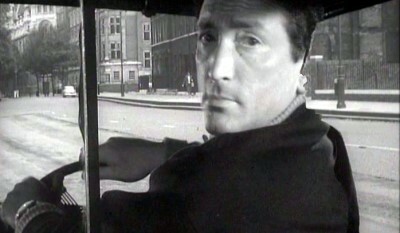 Maida Avenue, W2 and passing the junction with Park Place Villas – Drake engineers the escape of Meredith from Drake’s hotel in an ambulance. 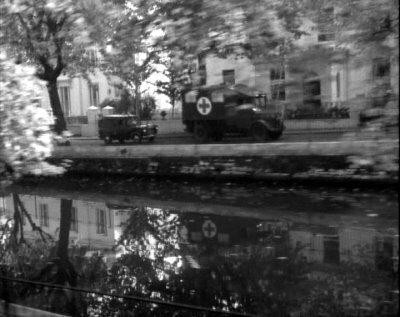 Drake follows the ambulance in a police car as they drive along a canal. Drake picks Meredith up when he overpowers the ambulance man. 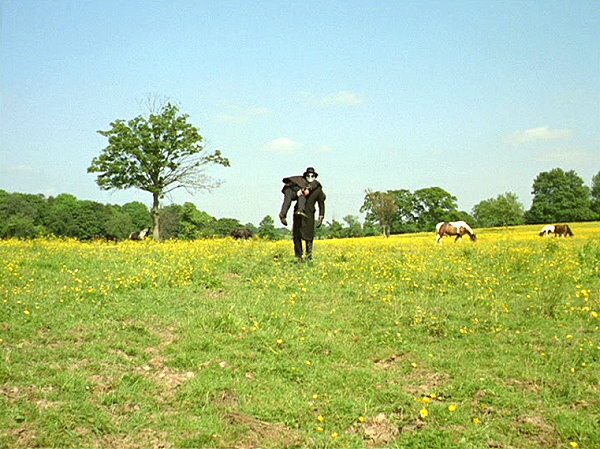 Chobham Common, Surrey - Drake follows M. Barbier from his antiques shop using a tracking device. 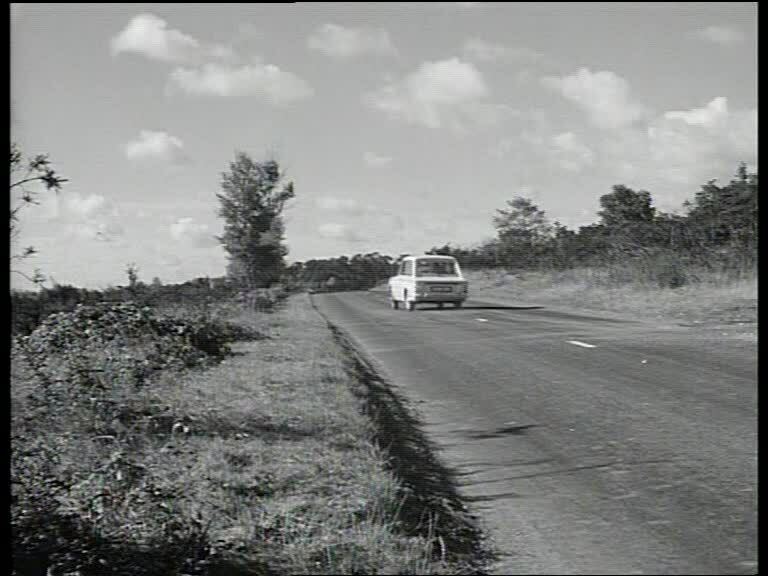 Chobham Common, Surrey - Carlos Thompson (Carlos Varella ) drives along a rod (Staple Hill Chobham Common and then Burma Road Chobham Common) where he is stopped at a checkpoint. 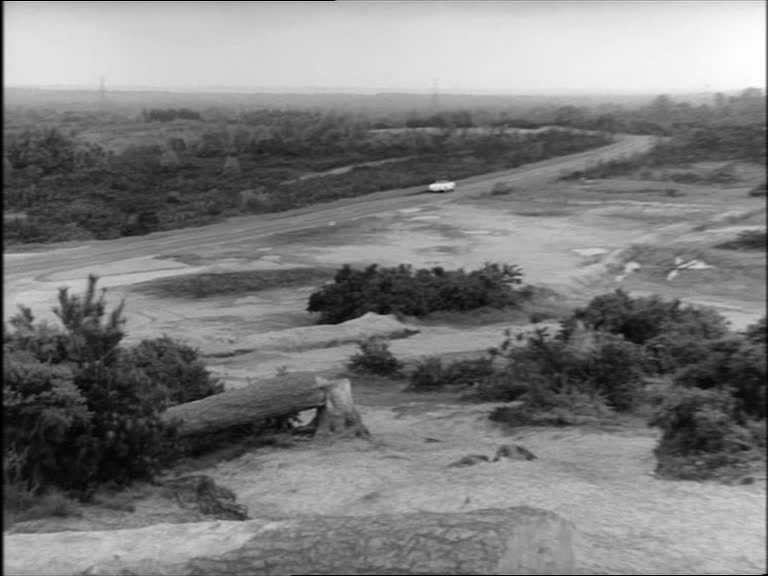 Chobham Common, Surrey - Bill Randall (John Turner) and Chin (Burt Kwouk) turn off the road (Staple Hill Chobham Common). 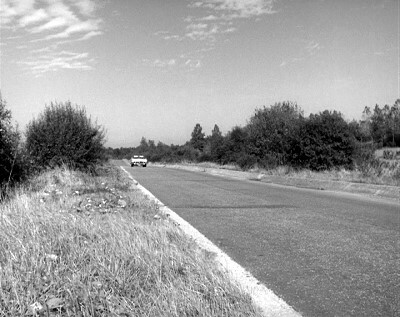 Staple Hill Chobham Common and Burma Road Chobham Common – The Vincents both drive to a roadhouse/petrol station outside Bagdad. 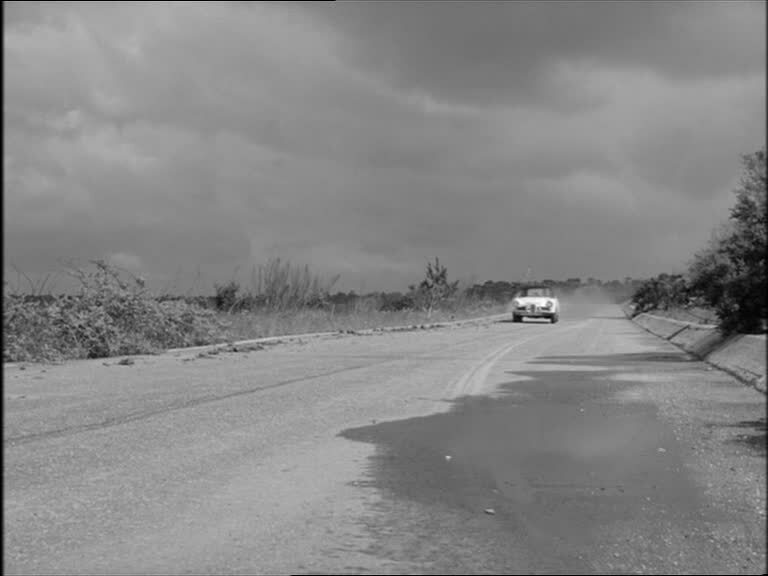 Drake and The Colonel race to rescue them after the Colonel’s associates plant a narcotic gas canister in their car. September 6th – During research on MGM British Studios these additional appearances were noted. 3rd September - Before I could post up Andrew Chilcott’s confirmation, Gordon Thomson, e-mailed me with the same Bank Raid location – spooky! 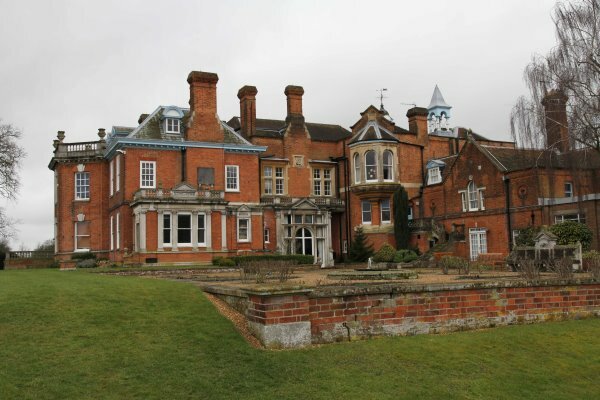 30th August - Gordon Thomson has sent in a magnificent set of photos he has taken around Haberdashers / Aldenham Estates of the locations featured in THE INVISIBLE MAN TV Series Episode The White Rabbit‏. I’ve added some of these to the guide. Thanks Gordon. 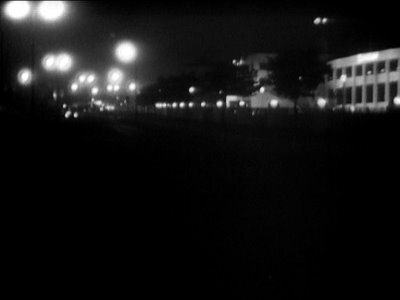 “This shows suburban housing on the skyline, as does this Flickr reverse angle view of the signal box: http://www.flickr.com/photos/beerdave1745/5123209615/ I say these are on Marine Parade. 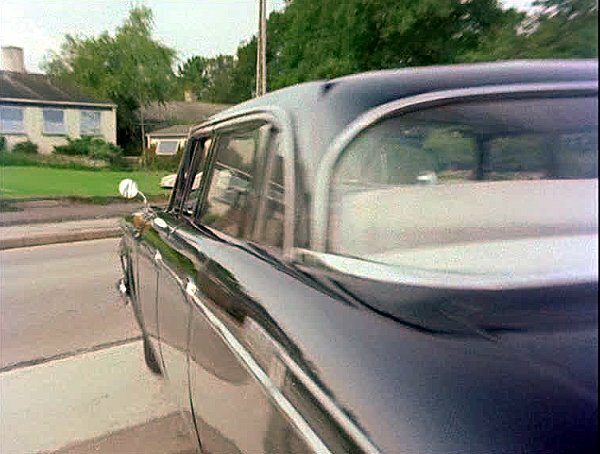 Neither view represents the same angle but if the camera has panned to follow the car there is a possibility you can pick out the distinctive arrangement of chimneys we see in the 'modern' view? Leigh-on-sea, Essex - After the bank raid Brady is taken by Crowther (Willoughby Goddard) and Die Williams (Brian Rawlinson) to the boat where Sally (Deborah Watling) is being held by Joe, another of Crowther’s heavies..
Leigh-on-sea, Essex - After the bank raid Brady is taken by Crowther (Willoughby Goddard) and Die Williams (Brian Rawlinson) to the boat where Sally (Deborah Watling) is being held by Joe, another of Crowther’s heavies. 26th August – Max Pemberton as written in with this location spotted in the film DRAGONSLAYER. 26th August – Thanks to James Webster who as corerectly pointed out that Gravel Path is in Berkhamsted, not Tring. Hopefully I’ve now corrected my mistake. 25th August – Another find from Andrew Chilcott. The crematorium in THE ADVENTURER: Skeleton in the Cupboard, this is Hendon Crematorium, Hendon cemetery. 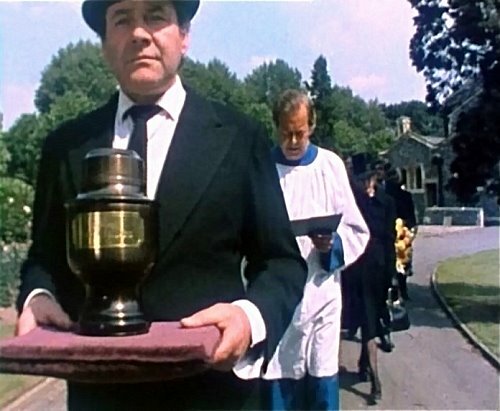 Hendon Crematorium, Holders Hill Rd, London, London, NW7 - The funeral of Professor John Ballard. Karen Ballard (Sylvia Simms) is supported by Sir Richard McKenzie (Richard Vernon), Master of the College, and Gene Bradley (Gene Barry) who was to investigate Ballard’s misappropriation of funds. 25th August – Another location from THE BARON has been found by Andrew Chilcott. This was a very tricky one to locate as even the Railway enthusiasts have not documented this tunnel very well. Andrew did a lot of map work to locate this one, well done! 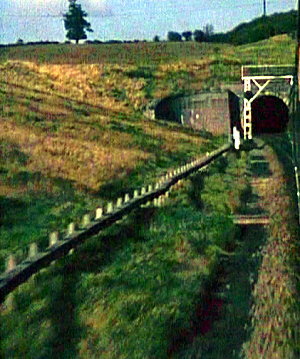 G33: Railway Tunnel, Ganwick Corner, nr. 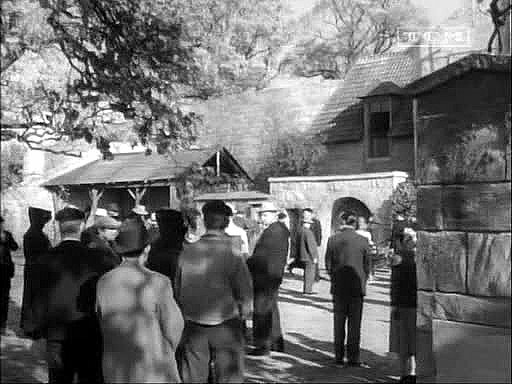 Bentley Heath, Potter's Bar - Mannering threatens to smash Nick's henchman against the wall of an oncoming tunnel unless he reveals the location of Nick's cabin. 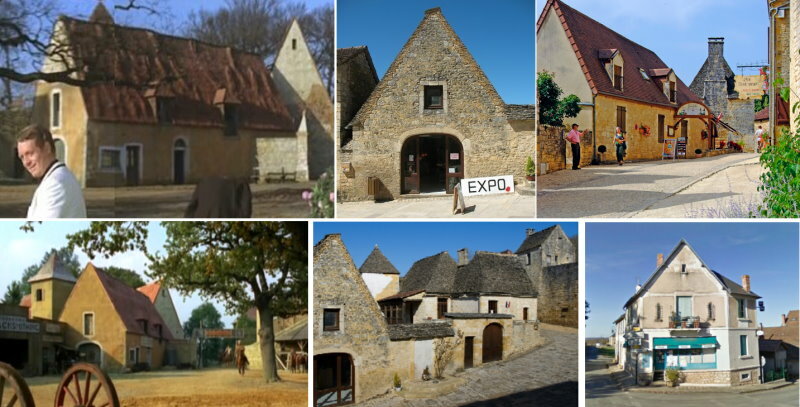 11th August – Two more obscure locations identified by Andrew Chilcott. These are both examples of Berkhamsted, representing France. B22: Gravel Path, Ellesmere Road, Berkhamsted, Herts – Simon drives into the village of Epernay to ask directions to Chateau Belleville. 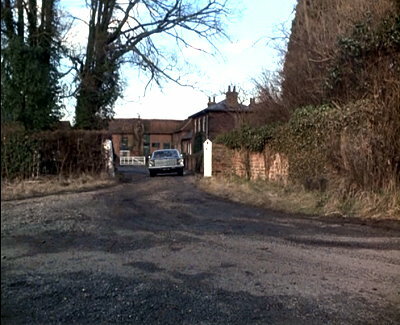 B22: Gravel Path, Ellesmere Road, Berkhamsted, Herts – Cordelia follows Jeff Walker in The Baron's Jensen not knowing that she is leaving Mannering in mortal danger. 11th August – A great find from Andrew Chilcott who has manged to identify this top secret location. 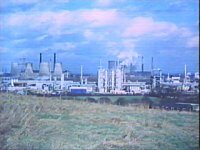 Andrew wrote “This is an aerial view of the former UK Atomic Energy Authority site at Winfrith in Dorset looking westwards. It is presently being decommissioned. 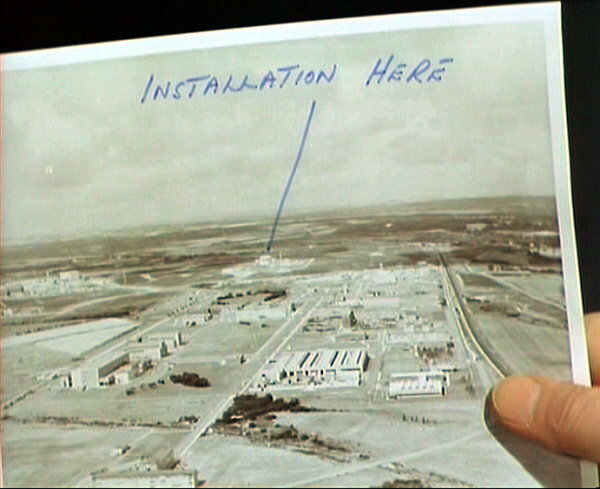 Further, the installation highlighted in ink is the experimental DRAGON reactor completed in 1962. 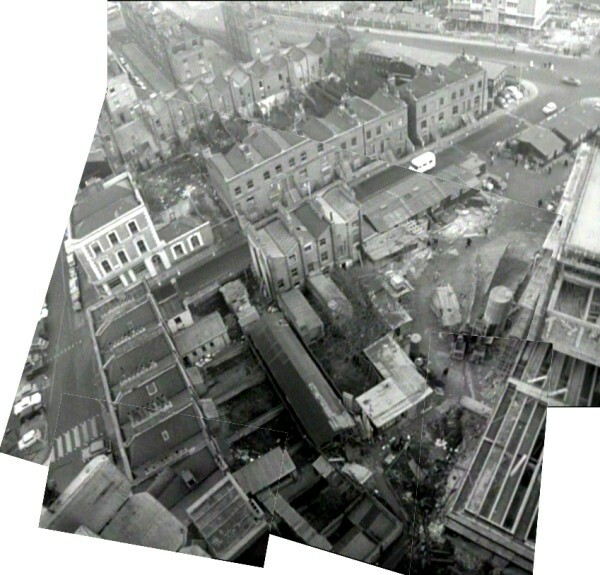 Those in charge of cleaning up the Winfrith plant have a website which includes a very similar 1957 aerial view to that in the photograph. 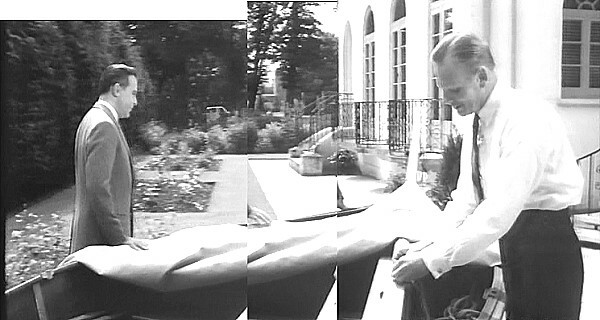 Frank Elrick examines the photograph he as found. 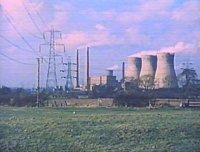 It shows the position of a secret missile installation (The experimental DRAGON reactor, at the former UK Atomic Energy Authority site). 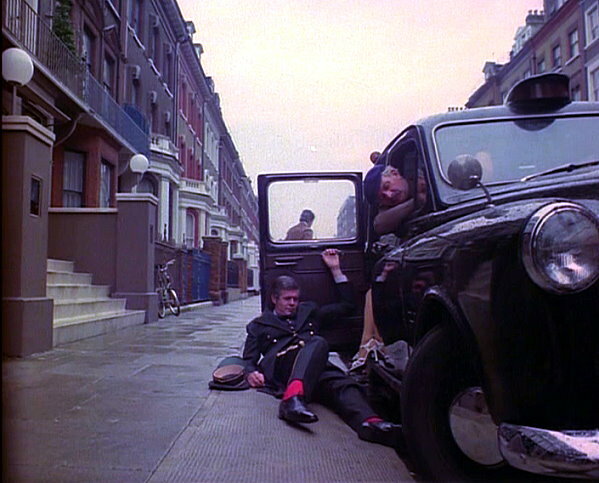 Abingdon Street and Millbank, SW1 – After leaving Barrett, Barrett and Wimpole, Steed and Georgie Price Jones take their taxi to the offices of the four Jacques brothers (back projection inside cab). 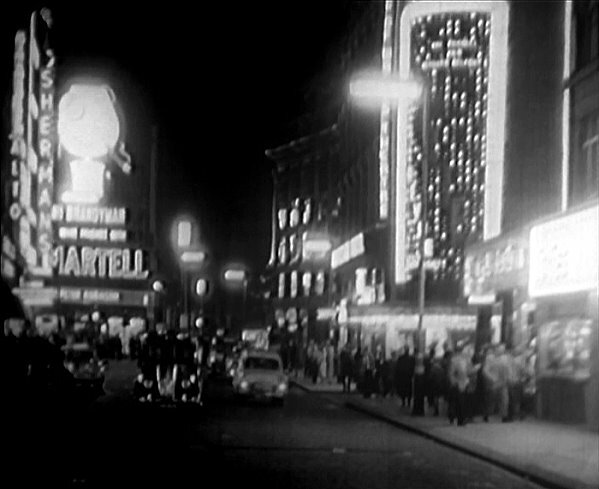 1st June – In September 1965 work started at MGM Britiish Studios on an adaptation of Robin Estridge’s Day of the Arrow to be called simply 13. 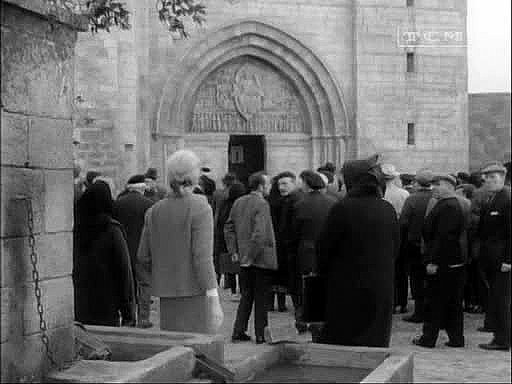 The film was to star Kim Novac and David Niven. 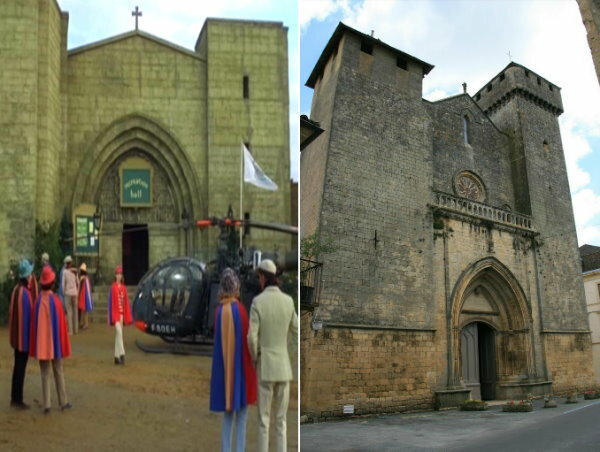 Location filming took place duriing September at the Château de Hautefort in the Dordogne department of southwestern France. 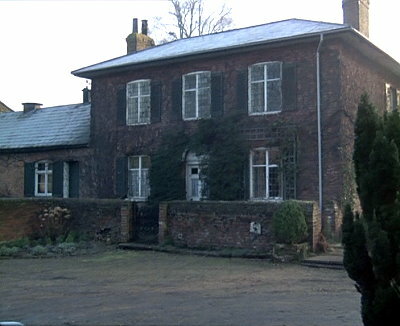 In October the cast were back in Borhamwood filming at the studios. 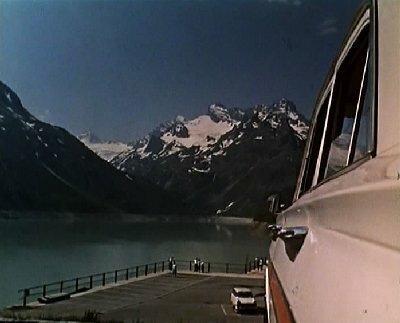 In November the title of the movie had been changed to THE EYE OF THE DEVIL. 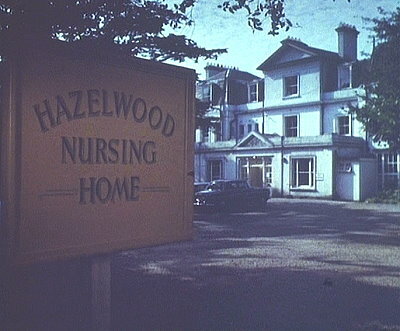 In December Kim Novac left the project to be replaced by Deborah Kerr which entailed a further seven weeks of filming including a week at Hautefort. 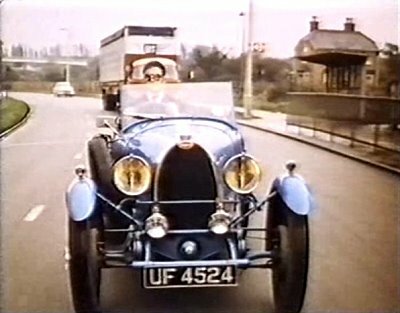 The production was completed in early February 1966. 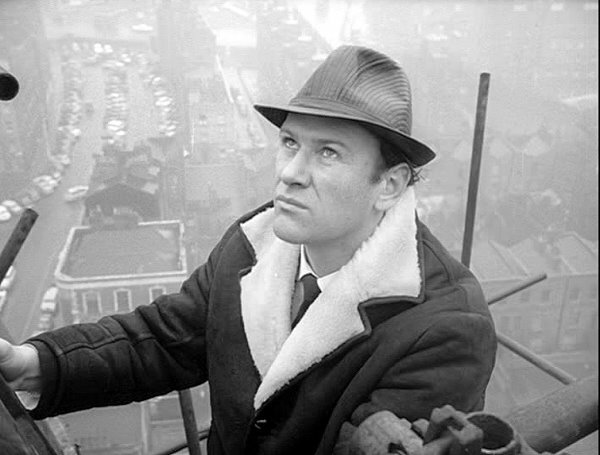 The film was released in July 1966. Château de Hautefort represents the fictional Castle Bellenac which overlooks the town of Bellenac. 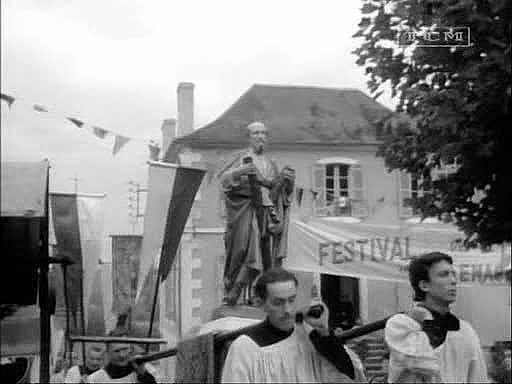 In the film, an annual ‘Festival de 13 Jouas’ is celebrated in the square by the church and the whole town attends. 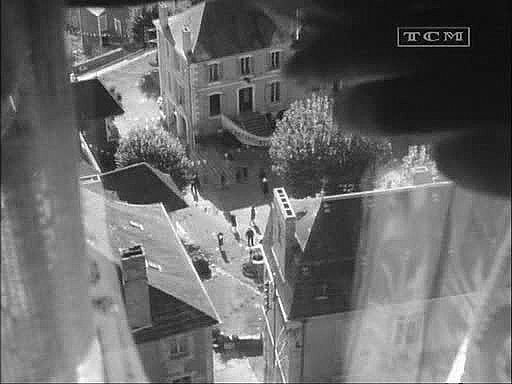 For the film, although the festival is established in the actual town of Hautefort, the rest of the action takes place on the backlot at Borehamwood. 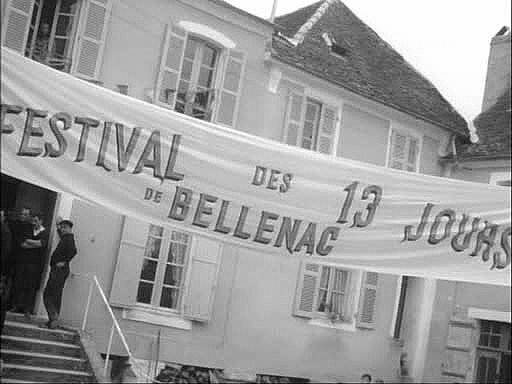 Art director Elliot Scott based his design for the Borehamwood version of Bellenac on Hautefort itself and the architecture other towns in the region. Some of his design includes faithful recreations of sections of actual buildings. 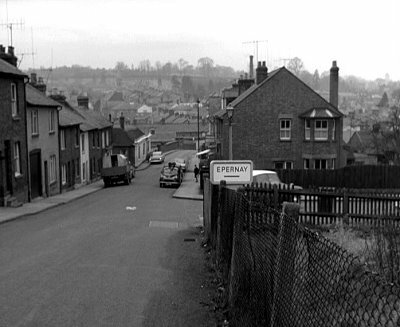 This backlot version of Bellenac would stand in Borehamwood until the site was redeveloped in 1973 and be redressed to feature in a number of film and television series including THE PRISONER and U.F.O.. Featured here are some comparison photographs of the buildings found that form the basis of the buildings founf in the backlot set. 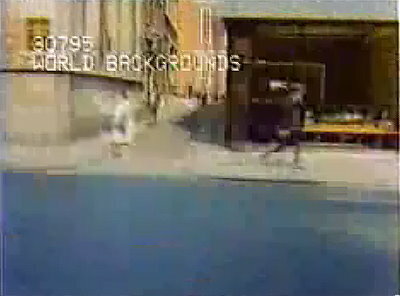 18th May - Andrew Staton has been in touch with this obscure location from MAN OF THE WORLD. 4th May - Another great find from Geoff Dodd who has traced this distinctive farm from Where the Money Is. 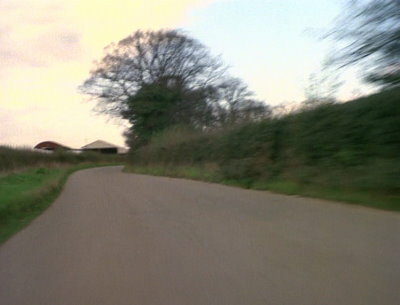 O2: Ridge Village - At the end of the episode the kidnappers take Simon to pick up the ransom money from this barn (Ridge Farm, Crossoaks Lane/Deeves Hall Lane). 24th April - The one has been on the books for a long time, but has at last been identified by Sam Denham. 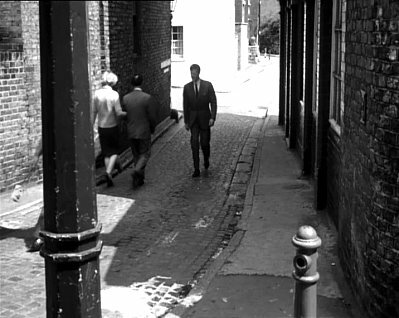 Beades Mews, NW3 - Beades Mews/New End/Streatley Place junction in Hampstead, NW3 – Simon Templar (Roger Moore) goes to consult his ex-resistance colleague Antoine Louvois about Georges Olivant (Beades Mews/New End/Streatley Place junction in Hampstead). 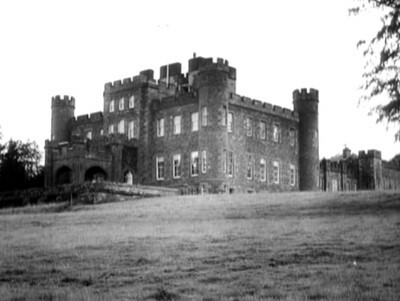 21st April - Tavistock of the Britmovie forum has done some sterling work to identify these locations from the opening sequence of The Beckoning Fair One. Wilton Square, N1 - The peace of a quite Chelsea square is broken by the sound of air raid sirens. 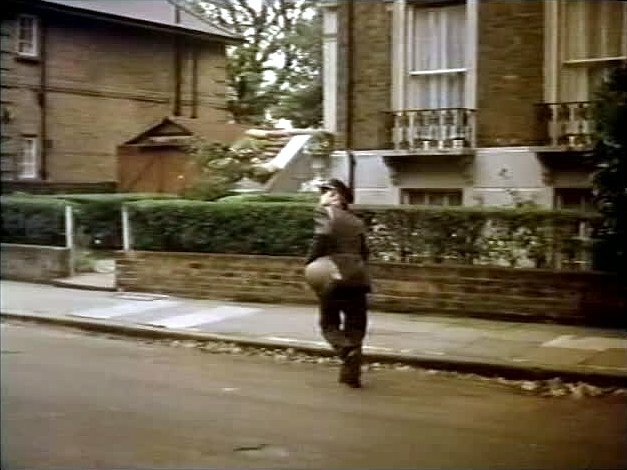 Awyne Place/Alwyne Road N1 - An air raid has started and Crichton (Clive Francis) rushes to the Chelsea home of Alison with a marriage licence. 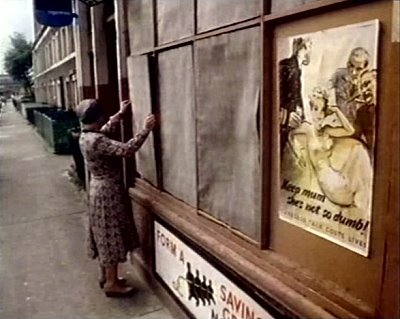 Baring Street, N1 - A woman covers the windows of her shop with blackout shutters and nearby pub (The Baring) is evacuated as an air raid is announced by the sound of sirens and the drone of aircraft engines. 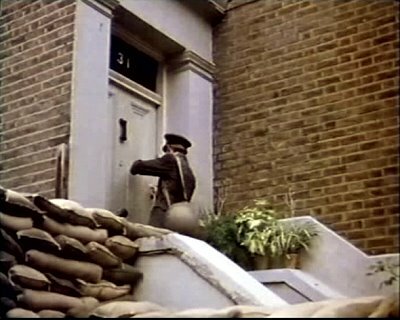 31 Alwyne Road, N1 - An air raid has started and Crichton (Clive Francis) rushes into the Chelsea home of Alison (31 Alwyne Road) with a marriage licence after getting leave unexpectedly. Decades later Mr. Barrett (Larry Noble) helps Jon Holden move into the house that he has rented. 19th April - Geoff Dodd is on fire this month, he has just found this very tricky location from THE NEW AVENGERS. 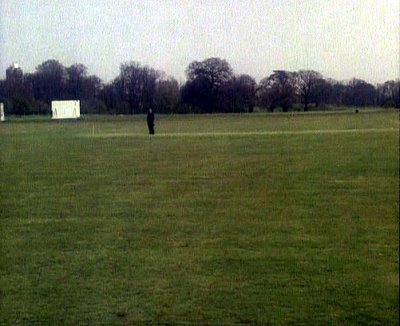 F55: Beaconsfield Cricket Club, London Road junction with Minerva Way, Beaconsfield - John Steed (Patrick Macnee), Gambit (Gareth Hunt) and Purdey (Joanna Lumley) relax off duty playing a few cricket strokes. 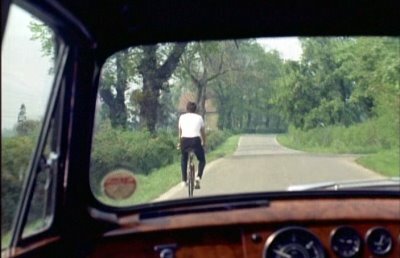 Between them they christen the ‘purdka’ and Steed notices a strangely familiar figure in the distance. 15th April - Another lightning fast identification from Alan Field. 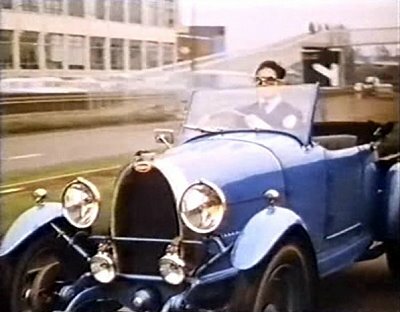 A406 North Circular, NW4 - Commercial artist, Steven Miller (Chad Everett) has received an invitation to attend a weekend party in the country and sets off out of London his1929 Bugatti (outside Brent Cross Shopping Centre and near Claremont Road, redeveloped). 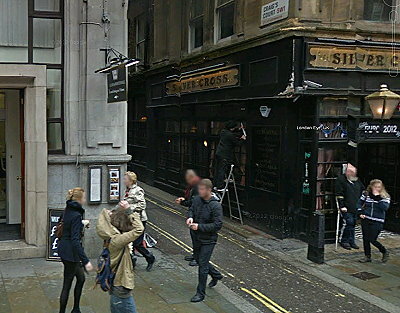 12th April - Mike Richardson has sent in these three locations fromTHE AVENGERS: Sell Out. 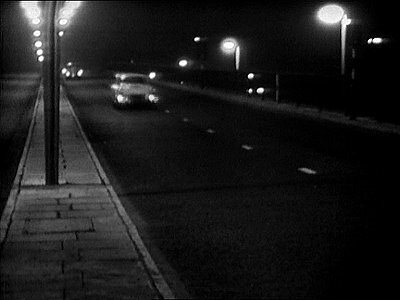 Hammersmith Flyover, W6 - Steed and Doctor King drive to Heathrow Airport in an AC sports car. 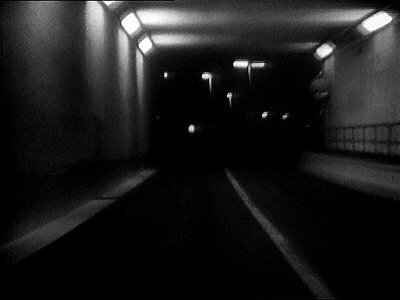 Tunnel Road East, Heathrow Airport - Steed and Doctor King drive to Heathrow Airport in an AC sports car. 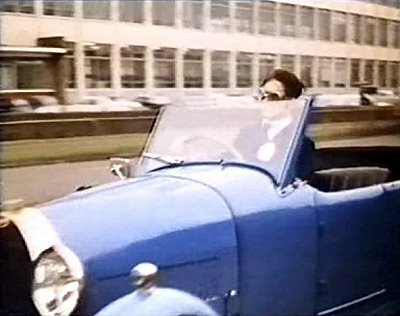 Great West Road, Brentford - Steed and Doctor King drive to Heathrow Airport in an AC sports car (they pass was the now demolished Firestone Factory). 8th April - After an intensive search Geoff Dodd has at last found thios elusive location from Death's Door. 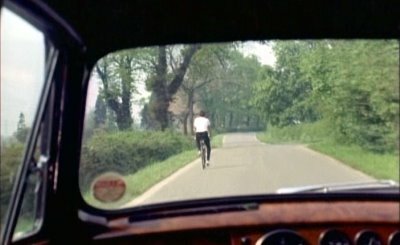 M23: Hilfield Lane - Melford gets a fright when a cyclist suddenly turns in front of his car as he and Steed drive to the conference (Hilfield Lane between Hilfield Castle and Hilfield Farm). 6th April - An unexpected find from Geoff Dodd as it is so close to Borehamwood. 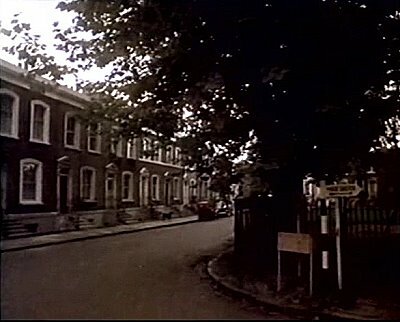 Q33: Barham Avenue, Borehamwood - The home of Dr Fisher (Allan Cuthbertson) where Dr. Corder (Herbert Lom) goes to talk about the Brindley family (Hispania,1Barham Avenue). 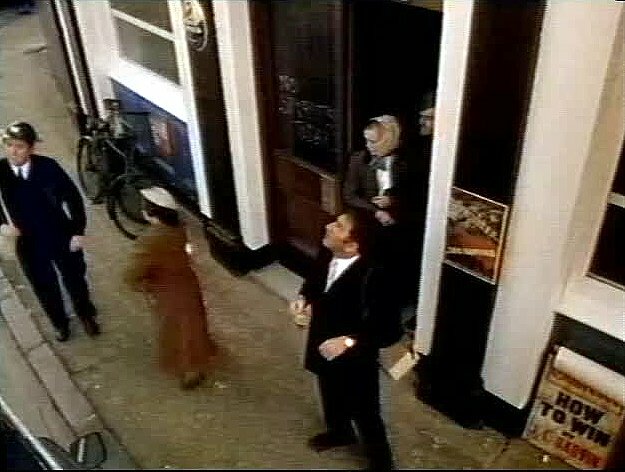 2nd April - After a good few years Geoff Dodd has at last identified this location from the THE BARON episode Diplomatic Immunity. 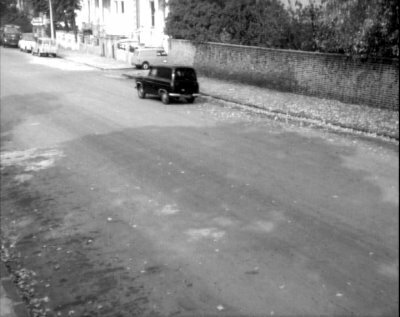 Craven Road, W2 – After taking a sharp corner in his Jensen, Mannering decides that his car is being followed by a Jaguar (Craven Road at the junction with Westbourne Terrace, looking towards Praed Street). 6th March - A very pleasant surprise today. 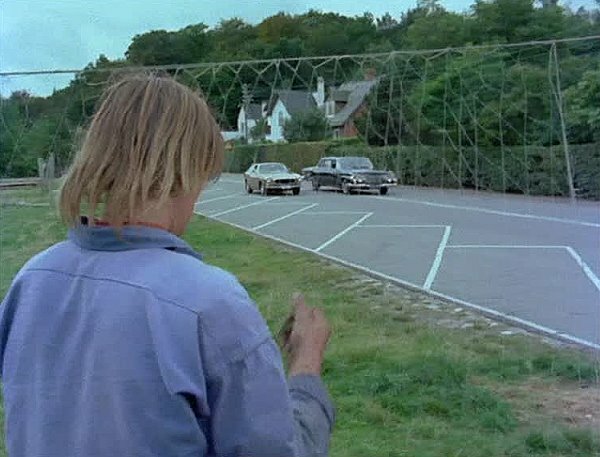 Daniel Bauer has spent the last few days searching for the hairpin road seen in THE PRISONER: Do Not Forsake Me Oh My Darling and today he has found it. 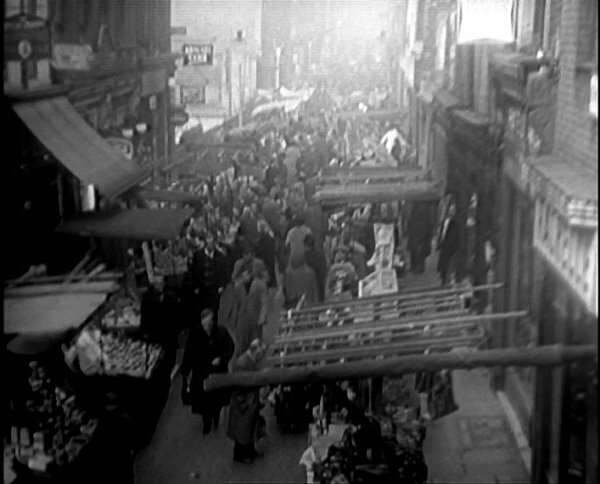 This footage was originally taken from material shot for the Pan-Am travelogue WINGS OVER AUSTRIA, which was market as stock footage by World Backgrounds and also used in THE SAINT: The Russian Prisoner which lead to another identified location. Thank you and well done Daniel. 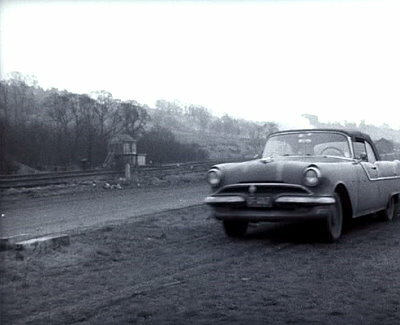 Potter drives up a steep mountain pass following the radio signal leading to Number 6. 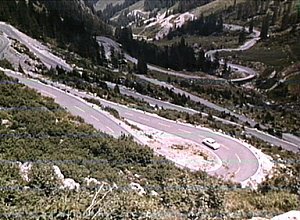 Simon Templar and Irma Jorovitch drive from Geneva through the alps to Lucerne via a winding mountain road. 5th March - Following on from Geoff's find, Alan Field has manged to piece together another part of the jigsaw. 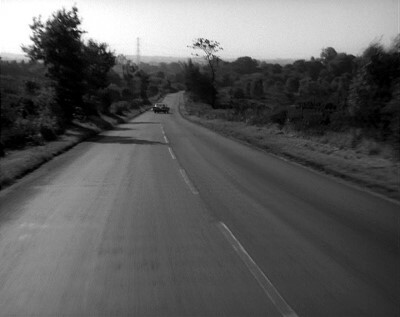 "This (image below) is Hollybush Lane. 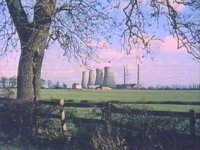 "The sequence starts outside what is now Greentiles Nursery, and heads towards Hollybush Farm, and its, now demolished, barns." 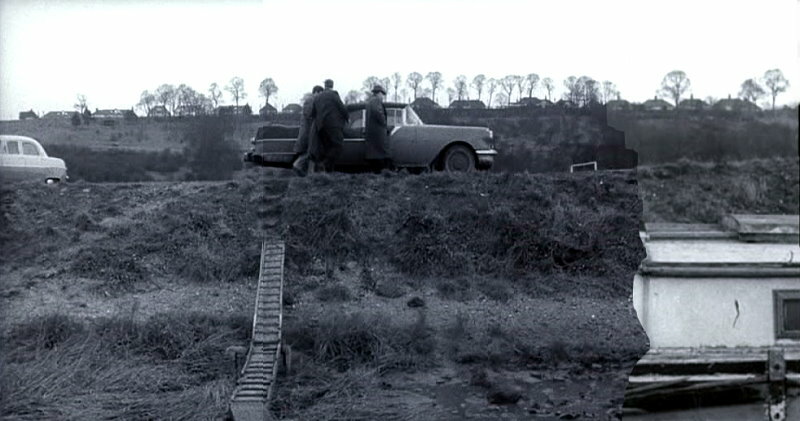 3rd March - Geoff Dodd has found this very tricky location from THE NEW AVENGERS: Eagles Nest. 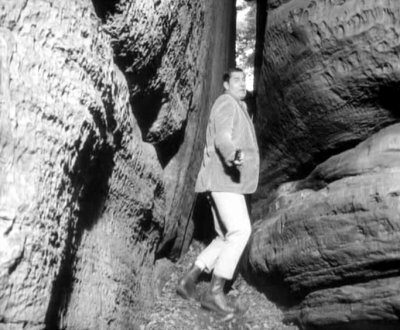 The area has changed much and the original camera work was very creative. Certainly hard to find, but Geoff has at last found it. 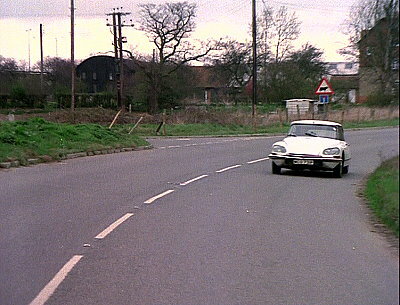 Gambit helped himself to the white Citroen to follow the van from the conference centre (Southlands Road at the junction with Hollybush Lane looking towards New House Farm). 14th February - Sam Denham has found this junction from THE NEW AVENGERS: House Of Cards. 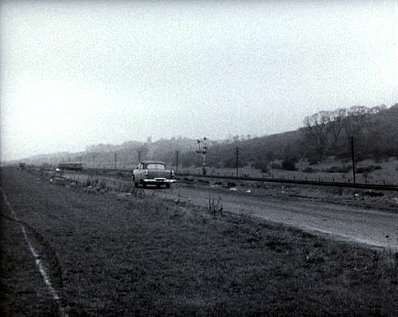 This is Fingest, where Skirmett Road converges with Dolesden Lane. All this recent work on THE NEW AVENGERS is giving us a much clearer picture of the area used for the filming of the series which should make further research a little easier. 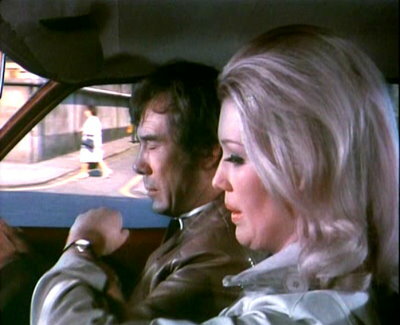 Perov and Cartney on their way to Steed’s place (Skirmett Road converges with Dolesden Lane). 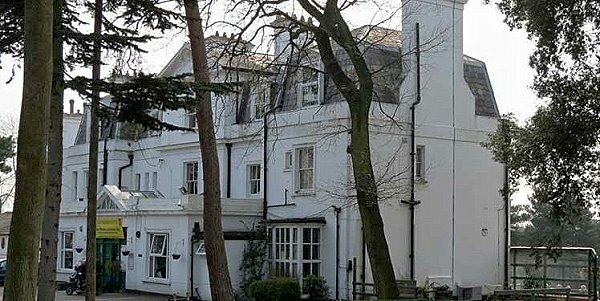 27th January - Many thanks to David Sinclair who has sent this link to the very useful Hampstead Garden Suburb web site. He was also kind enough to point out that a location listed as "Unknown" on Location Spotting Page 75 had already been idenified in 2004. Please let us know if you spot any mistakes on the site so we can correct them. 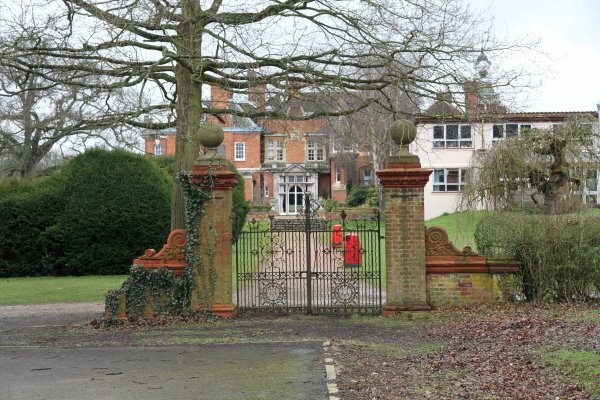 26th January - Sam Denham has found a real gem of a location. 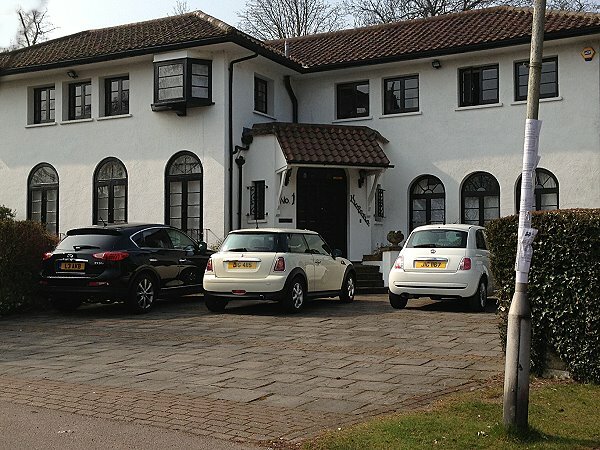 Long thought to be part of ATV Elstree Studios, Borehamwood, Sam has studied the sequence and discounted the ATV Studios. He has also managed the next step by identifying the locations as the Crystal Palace National Sports Centre, Here is the Bing Maps link. 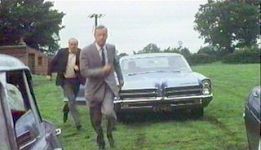 Crystal Palace National Sports Centre, Crystal Palace Park, Surrey - Ed Straker (Ed Bishop) escorts Jo Fraser (Jane Merrow) back to her car after she has interviewed him at the Harlington-Straker Studios (Crystal Palace National Sports Centre). She watches him walk away to his duties on the back-lot then makes her way back to Straker's office..
26th January - A complete list of MAN OF THE WORLD locations, known and unknown has been added. A work in progress with more unknowns that knowns. Help turning the former into the latter would be appreciated. Work still to be done on adding locations found towardss the end of last year to the guide. F54: Tara Stables, Colley Hill Lane, Hedgerley, Slough, Berkshire, SL2 4AT - The farmhouse where Danny and Lord Brett are held the night before the raid on the Amercian Air base. 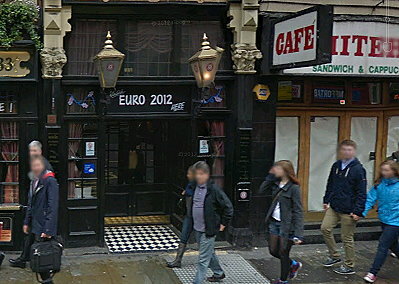 31st December - Many thanks to Peter Astaire for finding this location so quickly. 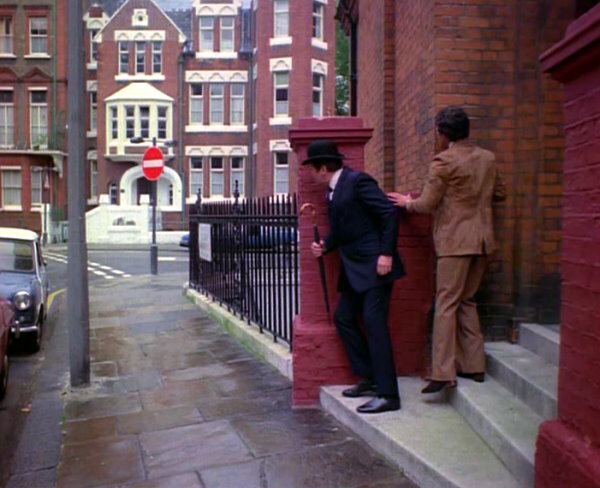 Roland Gardens, SW7 – As Steed (Patrick Macnee) and Gambit (Gareth Hunt) run through a deserted London following Purdy's carthey pass Steed's hotel where Steed notices thet George, the hotel porter,wears red socks. 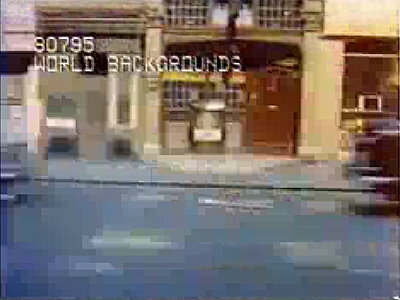 Both men duck into a doorway when they hear a bus aproaching. 29th Decenber - Mike Richardson's eagle eye spotted this one. 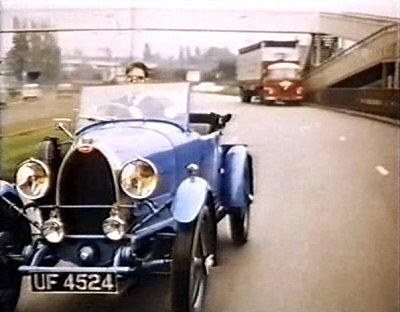 N35: Tykes Water Lake, Bridge and approach road, Aldenham Park - The Cybernaut (Terry Richards) carries the unconcious Neville (Charles Tingwell) towards Beresford's house. F42: Springwell Chalk Pit, Springwell Lane, Harefield - Larry Doomer's father is stopped at a road block in a middle eastern country and killed. Whitehall, SW1 - Jeff and Jeane race through London in order to get to the court in time fro Jeff to give his wintess statement (back projection). 20th December - A couple of absolute gems from Mark Pond. First clarification about the location of the The Ministry Building from Angles of Death and secondly, identification of the field where the aircraft is waiting in The Morning After. 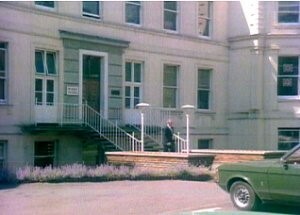 H74: South Bucks District Council offices, Windsor Road, Slough (demolished) – The Ministry Building where Steed (Patrick Macnee) confronts Peter Manderson (Terence Alexander) about his little secret and tells him to drive. 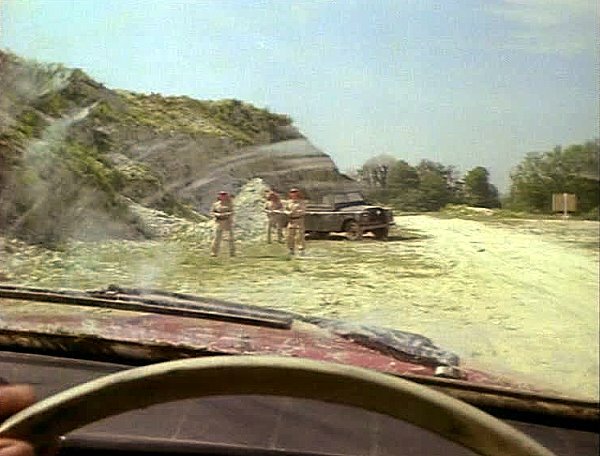 F21: Denham Aerodrome, Denham - Lars Seelman is kidnapped by Kristen and Jon and drien off the road and into a airfield where a Cessna aeroplane is waiting for them (The field opposite Denham Aerodrome end of the runway 24). 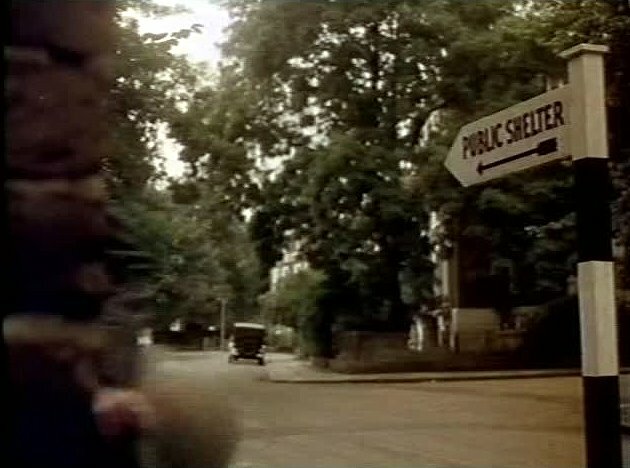 12th December - Alan Hayes has sent in a nice collection of locations from THE AVENGERS: The Frighteners.